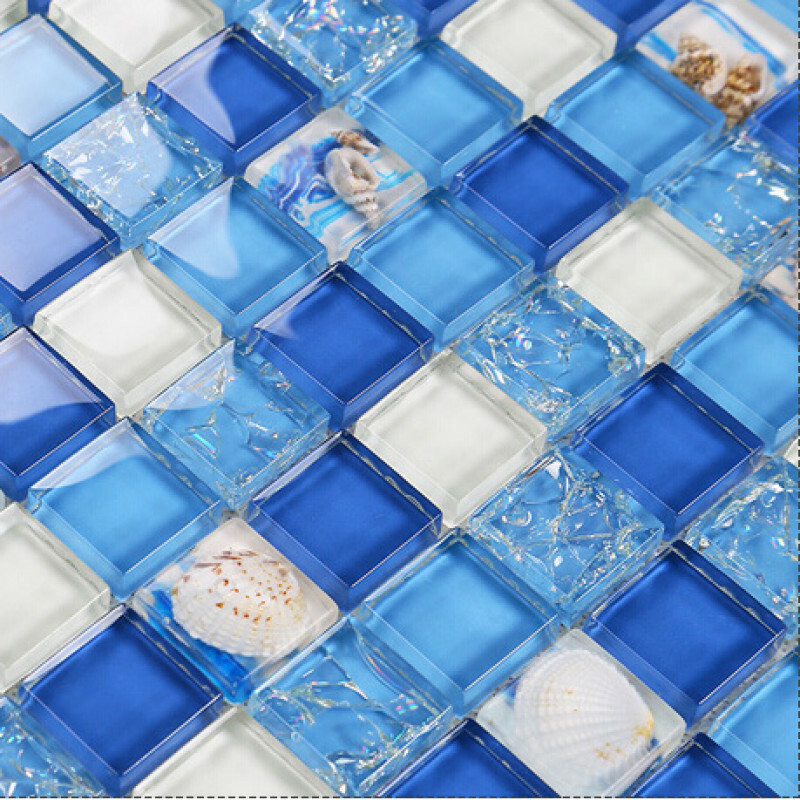 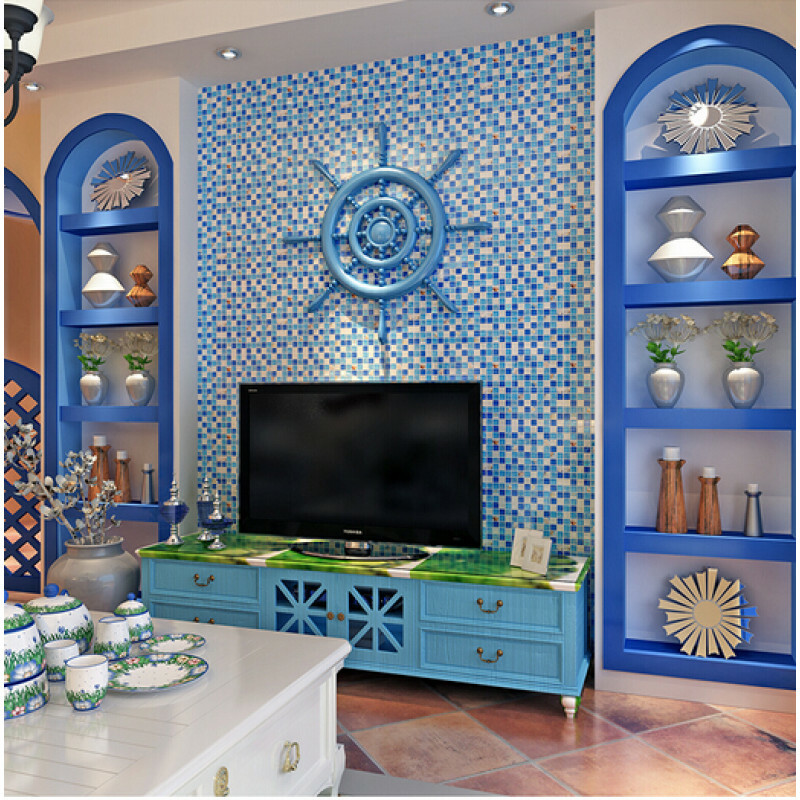 This white glass mosaic tile was made of glass, resin conch with a durable scratch, splash and heat resistant polyurethane finish. 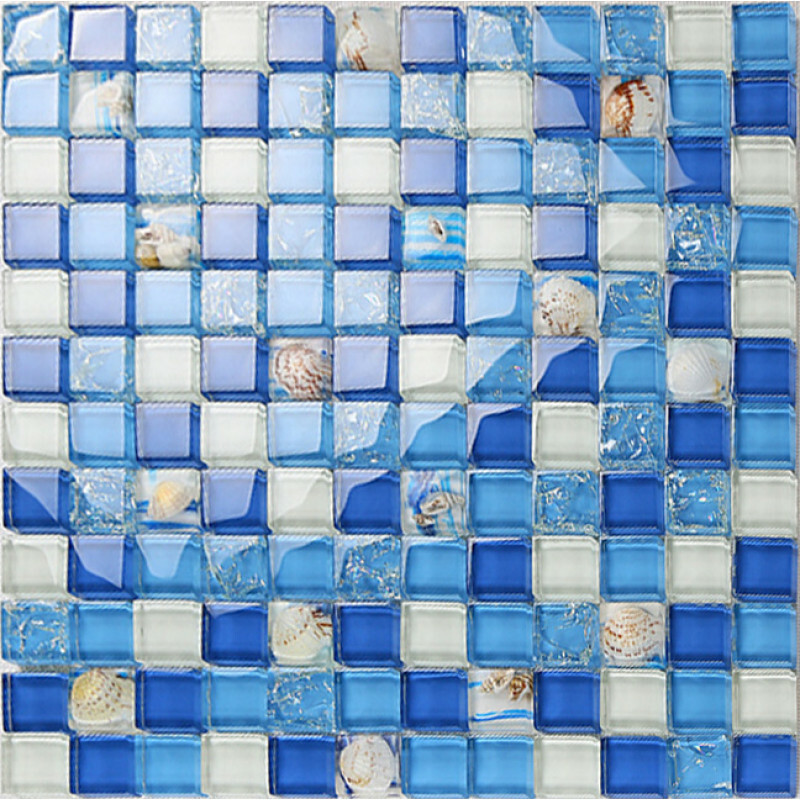 The natural conch chips are randomly added into the resin tile and the inner stuffs are also random. 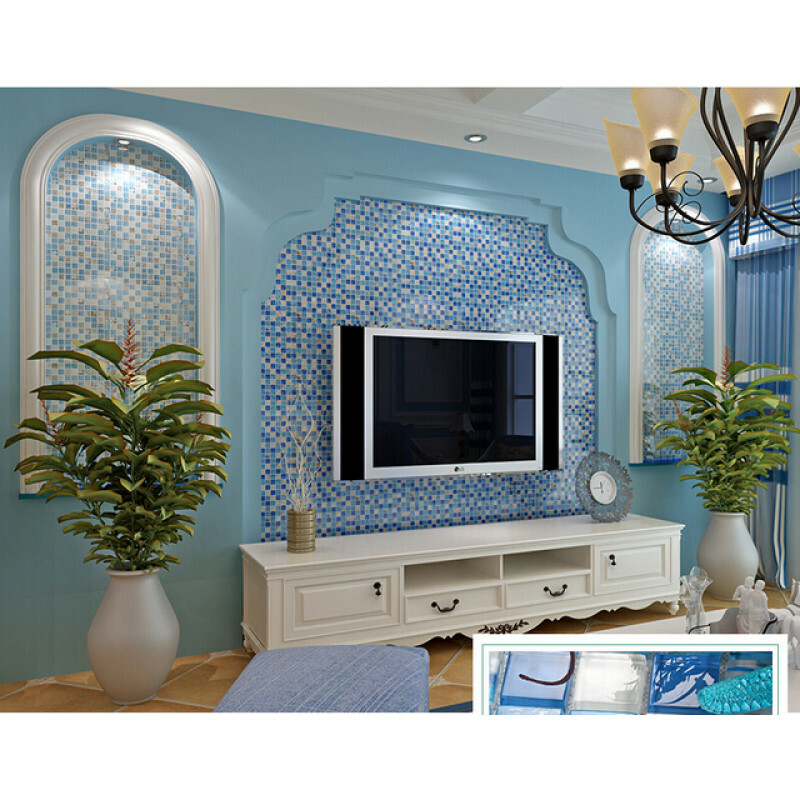 Some of glass chips was designed inner broken effect. 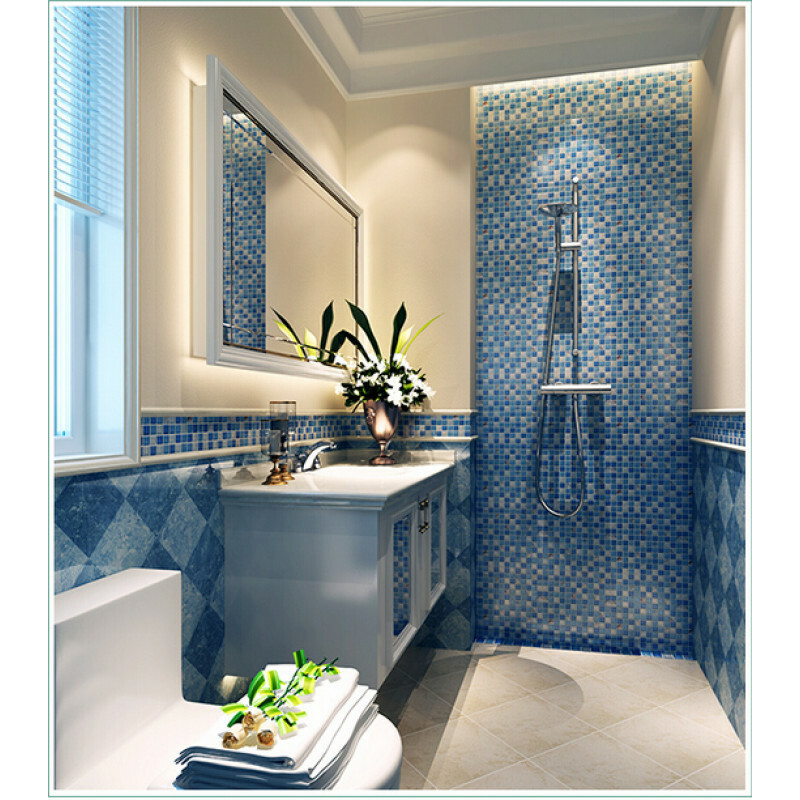 Each sheet of these sea glass mosaic tiles are approximately 1 square feet (12 x 12 inches). 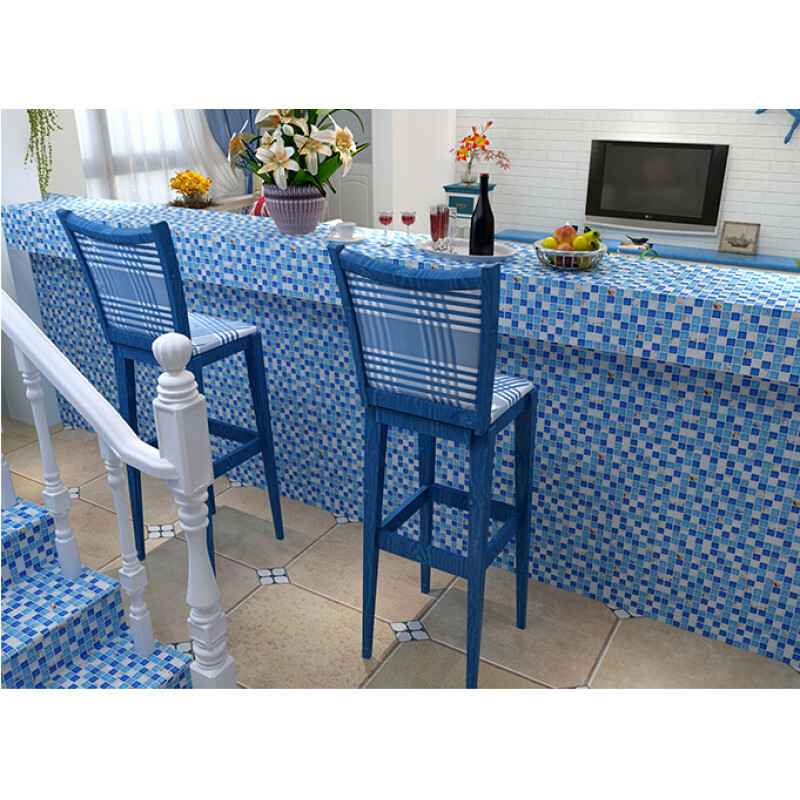 All these blue crackle glass mosaic tiles are good for kitchen backsplash and bathroom backsplash, bathtub, mirror wall, bathroom wall, counter tops area decorative.